ADE's daytime program on experimentation and innovation in the field of sound, sound synthesis and visualisation of light and sound offers funding opportunities for producers, programmers and musicians. Submit your proposal by June 13. After announcements about the first topics and speakers and the festival program we can now reveal the theme of this year's ADE Sound Lab. 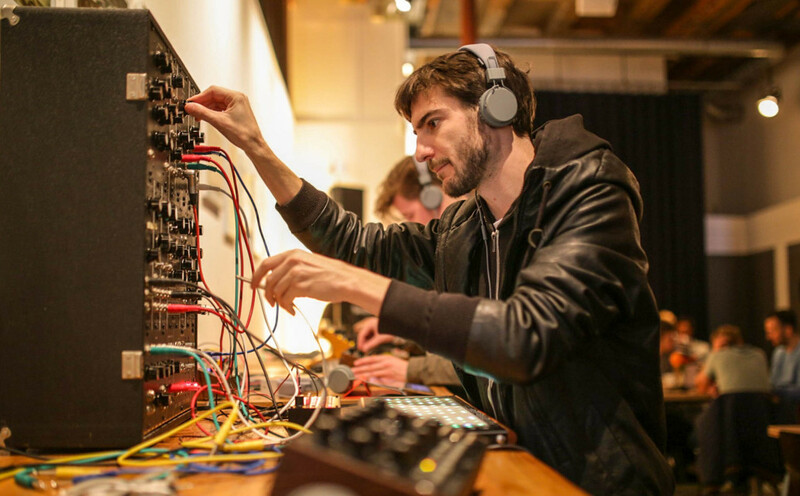 Following on from the successful collaboration between Creative Industries Fund NL and ADE Sound Lab last year, based around a creative call for innovations in the area of modular synthesis, this year the theme is ‘frequencies’. The focal point of this year’s open call is the translation of sound into light and analysis of the content of sound. The projects submitted must be suitable for a presentation or a public performance. Amsterdam Dance Event and Creative Industries Fund NL want to offer talented musicians and artists the freedom to experiment with new methods and technologies, paving the way for genuine innovations that can be included in other international festivals. ADE Sound Lab is an in-depth program focusing on experimentation and innovation in the field of sound, sound synthesis and visualisation of light and sound. The Sound Lab program includes artist and engineer talks, synth-building workshops, audiovisual art installations and live performances. The Open Call will culminate in an exhibition of installations and performances that will be part of the ADE Sound Lab program. More information can be found here. Submit your proposal by June 13!